I have a BMW ICOM clone and trying to connect to my E46 with ista D, but it says it can’t read out vehicle order or VIN. Here I offer two solutions, just for sharing. Error: the vehicle could not be identified. Please check the access to the vehicle and check whether the testing-analysis-diagnosis has been activated. I find a solution, just like with K+DCAN connect pin 7&8 with a switch that you can shut off when connecting to newer cars. I mean that I just connect 7&8 pins of BMW ICOM A2 connector ?? 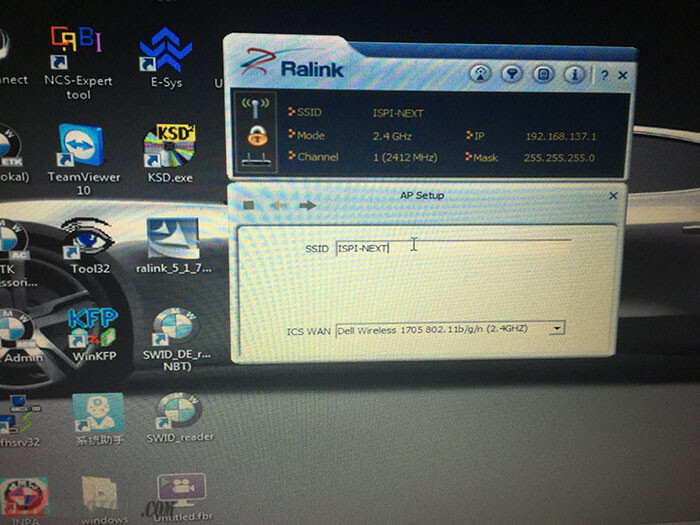 Even with the K+Dcan it won’t connect, once i did this trick it connected well, with Ista and INPA ?? Test the resistance (marked red in picture below) to check if the voltage is 39K with a multimeter, if it is, it’s normal. Otherwise, the device is damaged. You’ve to send back for repair. The solutions above are for BMW ICOM clone, not for USB interface, so it is helpless to get an OBD2-adapter where PIN 7+8 is bridged. 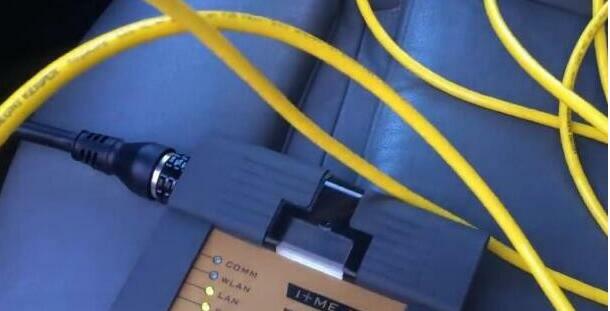 And you are at risk to try, please be responsible for what you do with BMW ICOM A2+B+C. 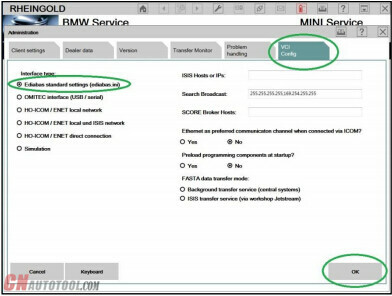 Here is a tutorial on how to set WIFI for BMW ICOM A2+B+C diagnostic & programming tool, hope it helps. Then OK, unplug ICOM LAN cable, restart ICOM waiting it connect to laptop WIFI! Then start ISTA/D make diagnostic. Enjoy! 1. 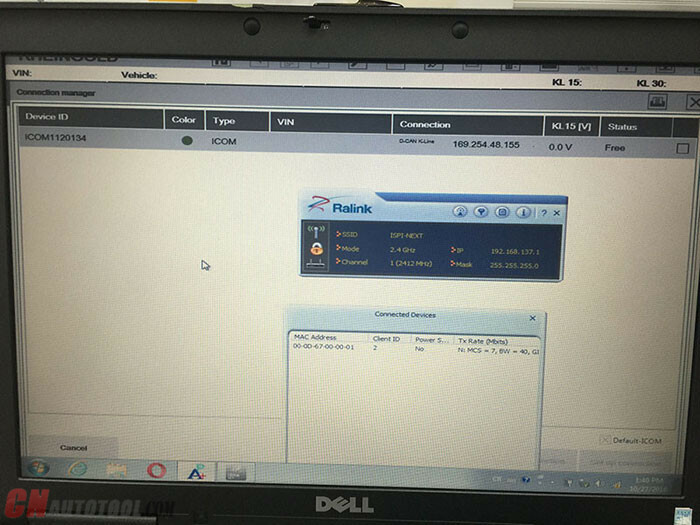 Open used for connection network adapter properties, then “Internet Protocol Version 4 (TCP/IPv4)” properties, then enter 169.254.1.1 for “IP address” and 255.255.0.0 for “Subnetmask”. 2. 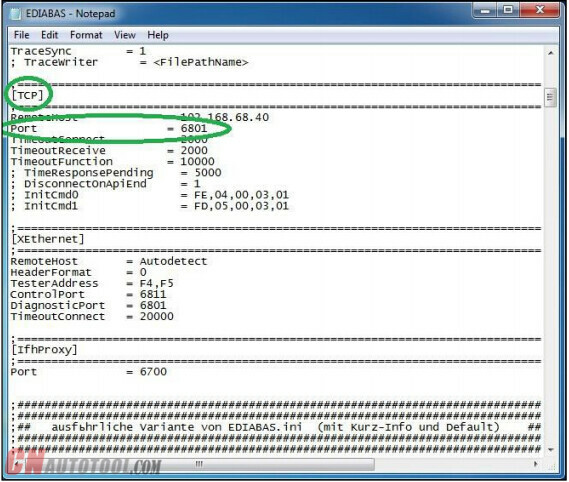 If VMware is installed, open Virtual Network Editor and disconnect from the host any adapters with Subnet Address 169.254.0.0. 3. 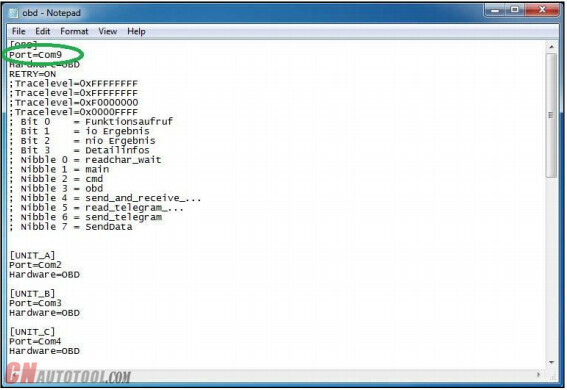 Open C:\EDIABAS\BIN\EDIABAS.INI with Notepad and check for “Port = 6801” in TCP settings. 4. 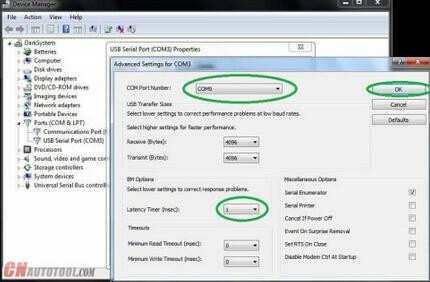 Connect car with ICOM to PC. 5. Now run BMW Rheingold ISTA using shortcut in start menu and wait until it boots, then press settings button. 6. Select “VCI Config” tab and “HO-ICOM/ENET local and ISIS network”, then “OK”. 7. Go “Operations”, then “Read Out Vehicle Data” and “Complete Identification”. 8. 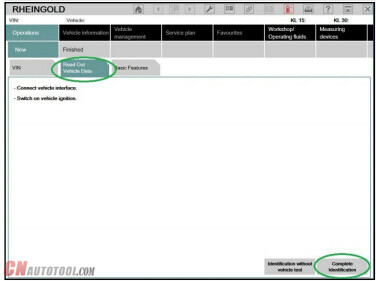 Select your BMW Diagnsotic Tool from the list and press “Set up connection”button. 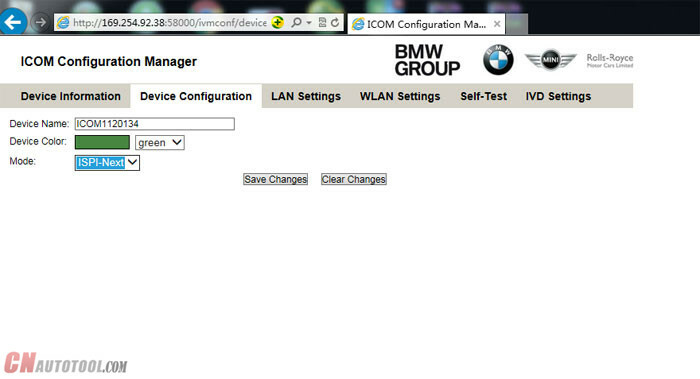 ICOM-A, B and C-modules for BMW can processed with All BMW series cars. ICOM A+B+C include 6 components. 3 main units: ICOM A (Basic component), ICOM B (Most interface), ICOM C (20PIN interface), and the network cabls, extensition cable, USB cable. 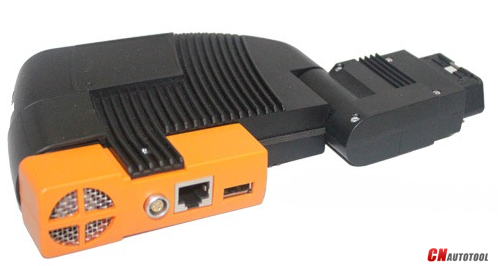 ICOM B is the external ICOM A MOST (Multimedia Transmission System) interface. It is through the USB cable to connect with ICOM A. 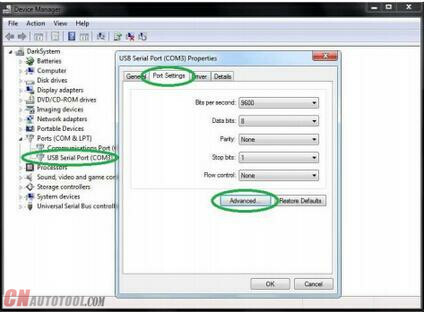 Supply voltage provided by ICOM A through USB. Only when the lowest of the ICOM A supply voltage of 8V, when, ICOM B would only be ready to run the electrical side of the vehicle through a standard ICOM B MOST interface. ICOM C is an intelligent interface converters that allows OBD II socket and BMW round match. 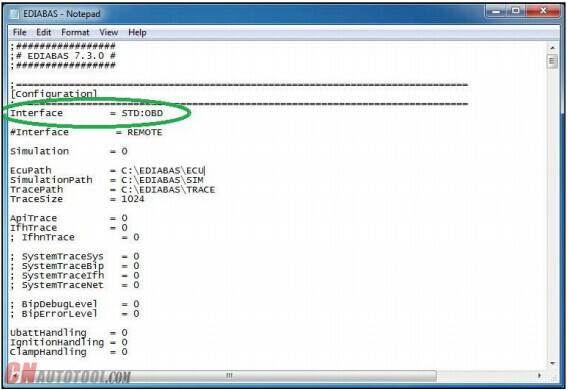 As the lengthening of the auxiliary module, it will ICOM A and non-OBD II vehicle interface connections. Supply voltage from the vehicle side of the circular socket by KL30 provided. ICOM C electrical operation provides for a minimum voltage of 8V. KL30 on the voltage sent to the OBD II device on the inside, and thus to ICOM A power supply. Only when the vehiclea€?s battery voltage exceeds the minimum limit in order to ensure stability of the two devices interact. ICOM A was due to different models and different models and their own weight, a direct connection OBD-II diagnostic blocks are susceptible to loss and poor contact, the use of extension cords, connecting reliable, easier to use. BMW ICOM / ISIS / ISID BMW new detector (off-line programming support) BMW ICOM / ISIS (including computers, a complete set of configuration, support for off-line programming, diagnostics). Network cable used to connect the BMW ICOM A module and the computer network port. USB Cable used to connect the BMW ICOM A module and B module. BMW Icom a2 bc Explorer ¨C hardware and application technique with extended engineering performance for BMW autos of collection E60, E65, E66, E70, E71, E81, E82, E87, E88, E90, E91, E92, E93, F01, F02, F07, F10, F11, F12 ,F15, F16, F20, F21, F30, F31, F32, F80 Mini Cooper R56 R60 and Rolls-Royce. DTC looking at with obvious text rationalization, car placing adjustment, routine maintenance interval adjustment, key programming or blocking, remote management synchronization and much considerably more! Reading through and adjustment of run hrs and upkeep intervals for: Oil, Filters, Brake pads, Spark plugs, Liquids, Inspections and companies too as §3§°, §3§ˉ inspections etc. BMW Scanner have the complete technique switch DIS GT1/SSS/OPS and OPPS. 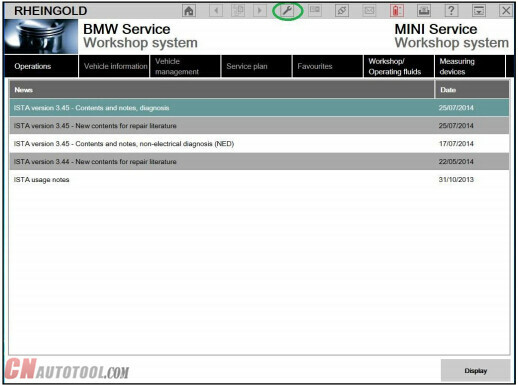 All BMW sequence is often processed while using the ICOM-A, B and C-modules. BMW GT1 software package package includes of 5 method ,TIS method .DIS facts process ; analysis process .measuring procedure and manangement technique . you could to check and examine facts facts identical time in GT1. 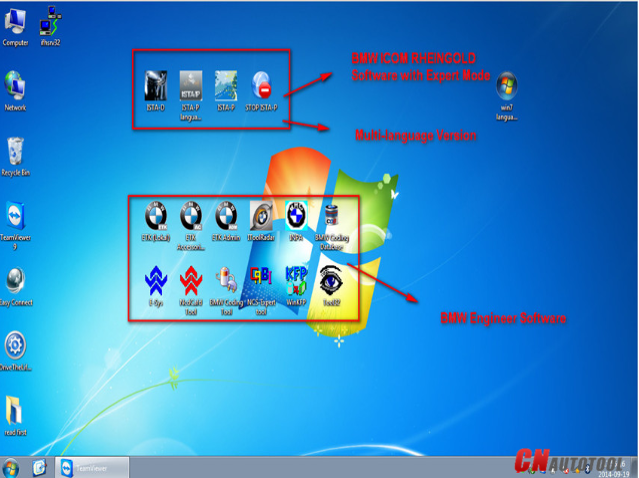 Browse faulty code ,very clear defective code ,information stream .activate condition,programming ,component examination ,upkeep facts details ,factors location ,wiring diagram and so on?-,TIS AND DIS ARE Provide all of program diagram of all of BMW car, Components area, maintainence approach and coding information etc. Can perform entirely of BMW auto method. On auto versions from the E65 on, BMW is for that initial time making use of fibre-optic cables as typical for conversation in between command models. The optical buses are noteworthy for their higher info transmission rate and they are not susceptible to electromagnetic interference. The optical buses in concern are classified as the MOST bus, mainly made use of for in-car amusement electronics, plus the byteflight bus, which serves predominantly safety-critical functions. 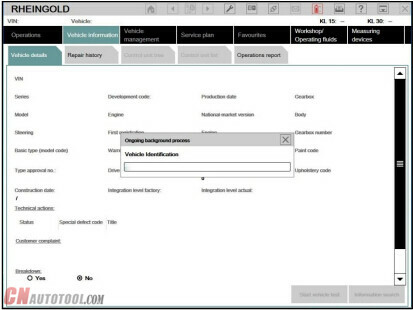 OPPS is designed for encoding, individualising and programming (CIP) by means of the Software program Service Station (SSS) and envisaged to be used as part of the BMW diagnostic system (DIS) from DISPlus and Group Tester One particular (GT1). 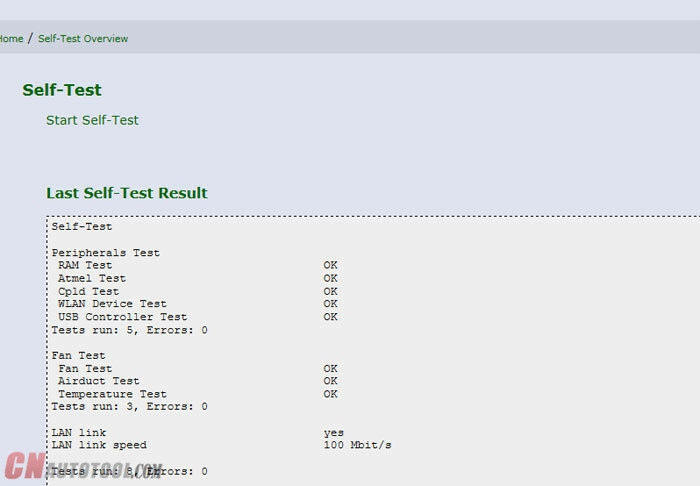 It is actually meant for tests and programming duties with the E65 sequence, having the place of the diagnostic head. OPS is intended for swift programming of handle models. When operated for the SSS, no diagnostic or technological measuring pro-cedures are possible, as no measuring engineering is included; during this occasion, OPPS / OPS is used predominantly for programming regulate units (flashing). Conversation while using the car is usually performed each by using one of the most and by means of the OBD interface. The OBD interface is required for that electrical power offer on the OPPS / OPS and it has interaction properties by way of which the car or truck might be recognized and also the data for being programmed can be decided. From CIP version seven.0, it is possible to delete fault code memories by way of OPPS / OPS. BMW Sprint Scanner three in one incorporate BMW Scanner V2.1 BMW Scanner V2.01 and BMW Scanner V1.four.0. 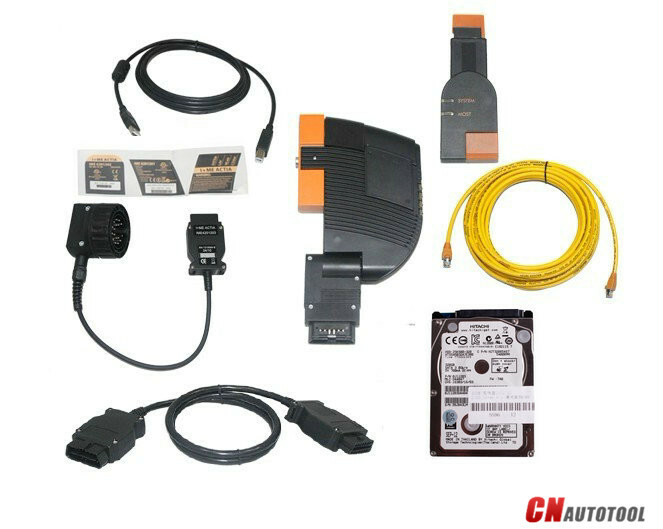 Support all methods of BMW series and OBD-II diagnostic method. ISPI Next for Coding Programming functions. 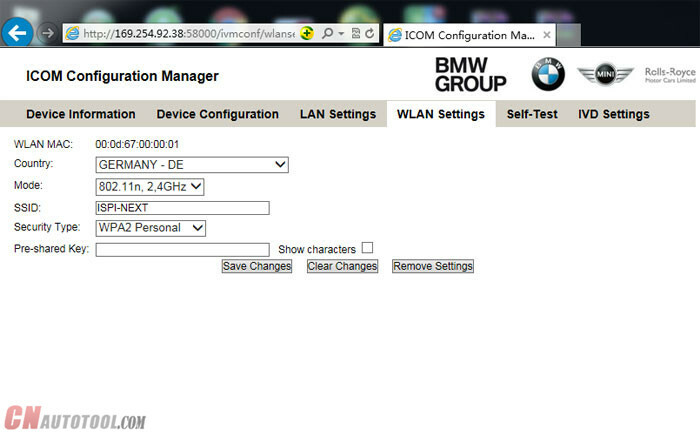 enable-dependent control modules in BMW Group vehicles.